On Monday, August 6, 2018, New Jersey became the first state in the United States to allow statewide legal online sports betting permitting DraftKings, Inc. to become the first company to launch a legal sports betting platform for online and mobile devices in the country with the announcement of the DraftKings Sportsbook app. The DraftKings Sportsbook app is now available to everyone in New Jersey on both Android and iOS mobile operating systems and is the first official mobile wagering app in the country. The app is also available as a desktop client for personal computers. DraftKings CEO and co-founder Jason Robins is convinced his company has launched a new era in sports betting and is excited to finally let sports fans in New Jersey use the app. DraftKings received approval from the New Jersey Division of Gaming Enforcement on Wednesday, August 1, 2018, to become the first company to be able to offer online and mobile sports betting in the state. 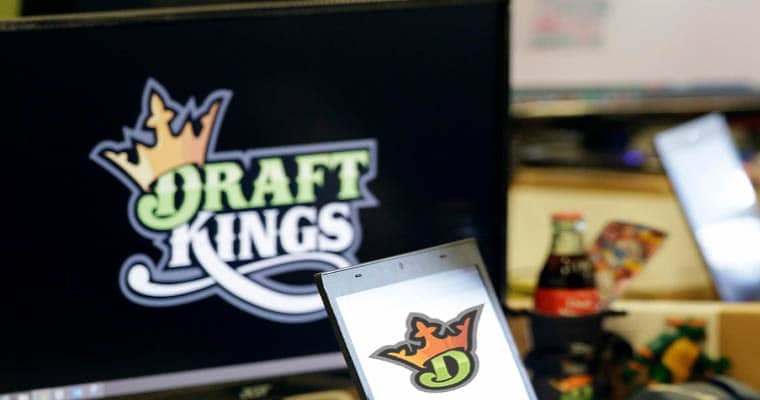 The approval allowed the launch of an invitation-only version of DraftKings Sportsbook, making the fantasy sports company undergo nearly a week of testing before being allowed to be made fully available to the public. This was also done to ensure bettors had to be in New Jersey state lines to place a wager on the sports betting app. However, DraftKings is just the first of many to get approval and join the online and mobile sports betting market in New Jersey with MGM Resorts International and Caesars Entertainment both announced plans for online and mobile apps last week. MGM is expected to launch online sports betting sometime this week through Atlantic City’s Borgata Hotel Casino & Spa along with their playMGM mobile app, and Caesars expects the Caesars Casino & Sports app to be live before the start of football season. DraftKings said in the press release they are just getting started in New Jersey with the launch of their legal online sports betting app and is prepared to take action in response to other state legislatures across the country. Earlier in 2018, DraftKings also announced it entered into an agreement with Lago Resort & Casino, located in Waterloo, New York, and would allow them both to work together to create an online and mobile sports betting platform for New York should the state legalize online sports betting. DraftKings, founded in 2012 by Robins, Matt Kalish, and Paul Liberman, is a fantasy sports company headquartered in Boston who offer daily fantasy sports contests for 11 professional sports in eight countries around the world, including the United States, Canada, United Kingdom, and Australia and is now officially a licensed operator in New Jersey with the release of the DraftKings Sportsbook, allowing players in the state to wager on major U.S. and international sports.